These are things that are simple and easy to accomplish with very little or no money at all. 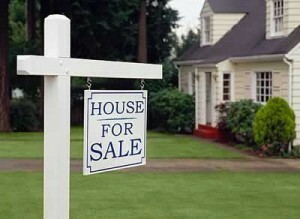 It is very important to clear all the clutter from a house when showing it to a perspective buyer. This may seem like common sense, but let me assure you I have seen houses in all sorts of conditions and there is nothing worse than the house that physically has nothing wrong with it, but is a mess throughout. So pick up all the toys your children were playing with, make the bed, and check that the laundry hamper is not overflowing. Remove obstructions from hallways and narrow spaces that would get foot traffic, such as stairwells. By removing all the clutter from a house it has the ability to make the house seem a little bit bigger, not to mention more well kept. You want to give of the impression that everything in the house runs smoothly, even though it may not. Your main goal is to make the buyer feel at home. Even more common sense than keeping the clutter out of a house is to keep the house clean. This point is a sort of continuation of the point above. Nobody wants to live in a dirty house and if your house is in not in tip top shape the buyer may feel like you don’t properly take care of the house. If a buyer feels you don’t keep a clean house they may wonder what other things you are not taking care of around the house. You do not want to give any perspective buyer any reason to think you do not take pride in your house. Try to keep the house clean when a buyer is coming to see it. It is important when you show a house to a perspective buyer to make sure you have all the lights on and shades open. The reason for this is that the lighter it is inside a home, the better it will show. A home that appears brighter seems more cheery and people notice and comment on it right away. Houses that are dark give off a gloomy feeling and make the home seem less warm. If you have a lot of natural light this is even better. Sunlight gives off a warm feeling and buyers do notice it. If your house is dark and does not have a lot of light it may be in your best interest to purchase a lamp or more powerful light bulbs for the darker areas of your home. Most home owners arrange their furniture is based on how they use it. This is great when you live there, but when you try to sell your house the most utilitarian arrangement is not always the best. When trying to sell a house the furniture should be arranged in a way to make the house seem larger. You should try to leave as much open space as possible. This may be done by pushing the television further into the corner or moving a couch against a wall. You may even want to go as far as removing some furniture all together. If you have a lot of furniture because you have a lot of “stuff” the furniture might not be needed and may just have collected over the years. Only keep furniture for looks and not fir use. This is easier said than done when you are still living in the house, but it should help. If your walls are white or a light color than you have nothing to worry about here. If you decided to go a different route when living in your house you may have a little problem. You have to keep in mind that not all people have the same taste as you do. You do not want to get in a situation where buyers are turned away from your house simply because of the wall coloring. For example; I had a couple that was interested in buying a house, but could not get over the fact that one room was dark blue. The couple that owned the house had let the son paint the room whatever color they wanted and that is what he chose. I tried to reason with the buyer and tell them it just needed to be painted, but that one room turned them off from the rest of the house. As a seller you do not want to turn away buyers. If you have dark paint on the walls or interesting wallpaper, you may want to paint the wall white. In my experience I have found that most buyers like to look at the house by themselves and would rather you did not follow them around. It is best to setup shop somewhere in the house where you can stand near something unimportant such as an area of the kitchen counter top and not wonder too far from there. Buyers like to talk amongst themselves and comment on the house they are looking at. They are less likely to do so if you are around. By staying in one place they will be able to go into another section of the house and talk about what they are seeing and how they like the house. They will also know where to come if they have any questions about the house.